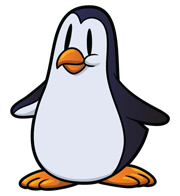 The Google update that Matt Cutts first called the over optimization filter and then called webspam algorithm was actually called the Penguin Update internally at Google. The folks at Search Engine Land were about to name it the Titanic and then Google got back to us telling us the internal code named was Penguin - or maybe Google just didn't want us to name it the Titanic and made up Penguin? I am not sure if Penguin is named after anyone, like the Panda update but Pandas and Penguins do look somewhat similar. I guess this name works for me - although I don't think it makes much of a difference for those hit by this algorithm.